Cuttack: The strike by the house surgeons of SCB Medical College and Hospital to protest the alleged assault on a colleague and press for demands like hike in stipend entered the second day. 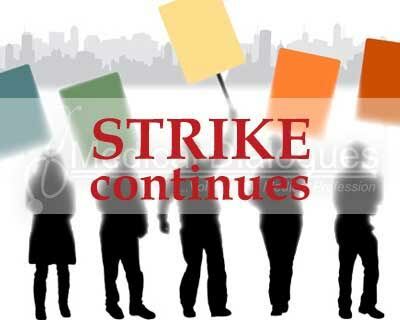 Hospital officials, however, informed that the strike has so far not affected the treatment of patients. The state government had yesterday made it clear that if required, doctors from outside shall be roped into the hospital to assist in the patient-care. Meanwhile, some members of the house surgeon association met state Health minister Pratap Jena. The striking doctors were assured that their demands would be sincerely looked into and they were asked to first resume their duties calling off the strike, sources said. The general body of the association, which met later in the evening decided that the strike will continue until their demands are fulfilled. “The Strike will continue indefinitely as decided by the general body,” informed the association president Prasenjit Patnaik.